We have exciting news to share with you today. 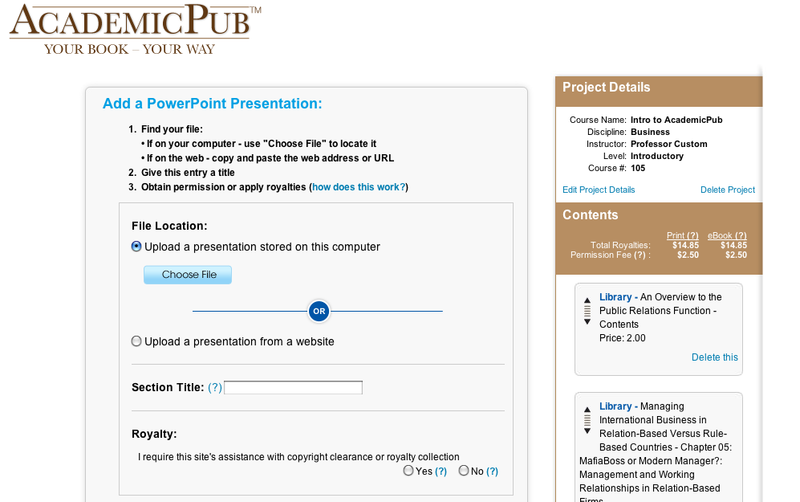 Finally you can import your class notes, presentations, and slide shows and print them out as part of your main textbook or as an optional, supplementary book for your students. Hit the button and go through the same process you're used to for adding everything from Word documents to PDFs to pages from the web. 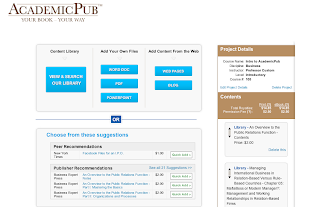 Interested in adding .ppt files to your coursepack along with the over 2.5 million pieces of content pre-cleared and pre-loaded in our library? 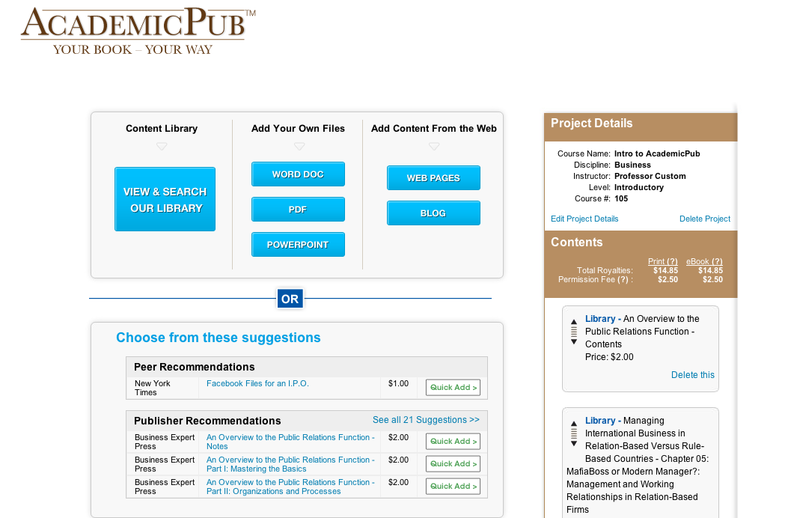 Go to AcademicPub.com today and get started! 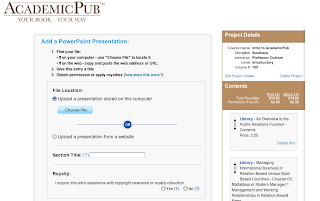 Perhaps you want to in keep up with a great stream of education news along with the going ons here at AcPub? Follow us on your social network of choice, whether that's Twitter, Facebook, Google+ or LinkedIn.